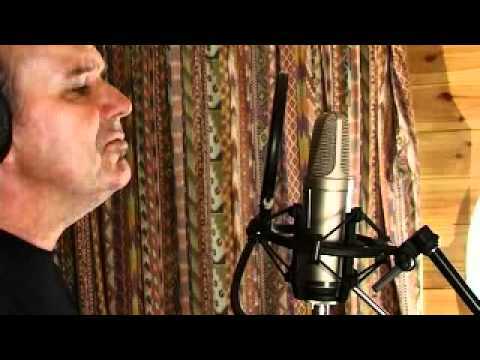 So why get the best condenser mic under 500 dollars? Well, if you’re serious about professional-level sound recording, a matched pair of condenser microphones is possibly the single most important piece of equipment you need to invest in. These versatile microphones are durable enough to handle an entire drum kit or orchestra, but still sophisticated enough to capture the subtlety of solo vocals and acoustic instruments. Anyone who’s shopped for condenser microphones knows that they don’t often come cheap, and finding the quality you’re looking for—without having to spend thousands of dollars on equipment—can be a challenge. 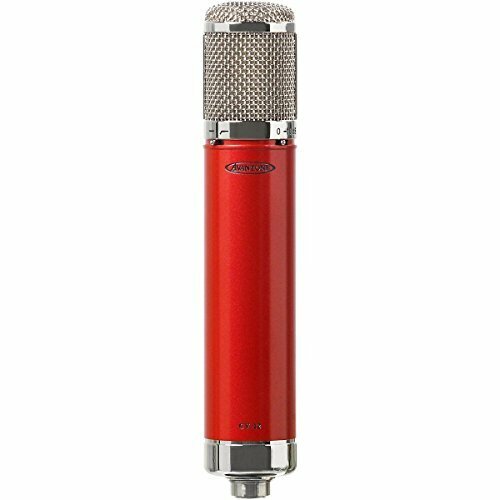 The Avantone CV-12 is a large-diaphragm tube-style condenser mic that offers you a lot of features typically found on microphones costing twice as much or more. 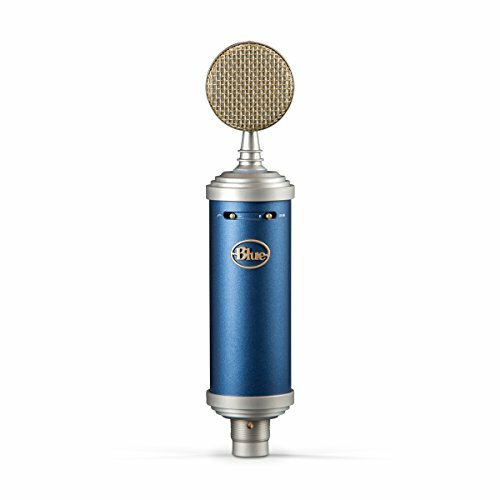 It gives you nine polar pattern options, making this an incredibly versatile condenser mic that can capture vocal lines as beautifully as it handles guitar, drums, and even orchestral instruments. The mic (see full specs) uses a precision-machined brass capsule for durability with a gold-sputtered Mylar capsule that gives every instrument an authentic and nuanced reproduction, and lets it function just as well as a room mic for a larger ensemble as it does for individual musicians. It also comes with a custom shockmount that keeps any outside vibrations from impacting the recording. This is likely the best large diaphragm condenser microphone around. 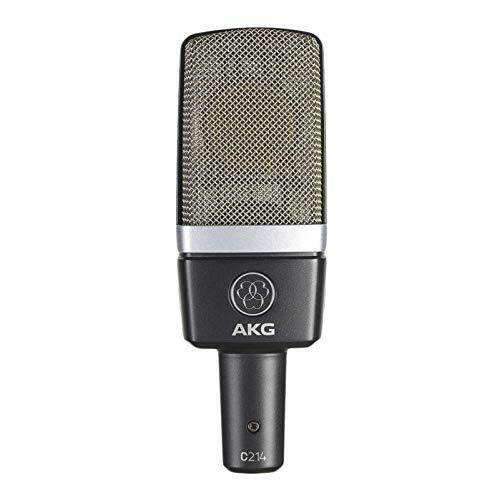 For such an affordable microphone, this dual-diaphragm model gives you a smooth sound that’s perfect for vocalists. It offers three directional patterns—omni, cardiod, and figure 8, giving it the versatility to record solo instrumentalists or chamber groups with equal nuance and precision. The variable high-pass filter and pad (see full specs) give you a lot of control over the sound. With both internal shockmounting and an included SM6 external mount, you won’t have to worry about vibration interfering with the capture and the durable construction means it will keep performing at the same high level for many years to come. 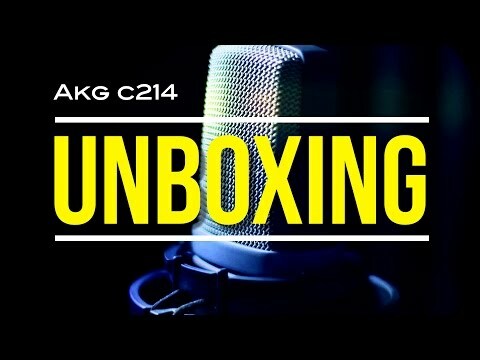 The AKG C414 model is the gold standard of condenser microphone technology, and the C214 brings you a lot of the same technology at a fraction of the price. 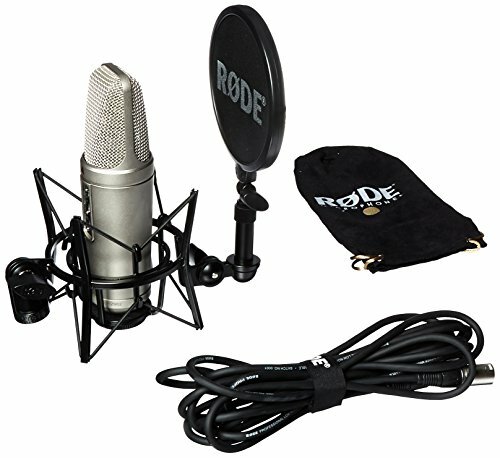 This large-diaphragm condenser mic uses a cardiod pattern that’s ideal for capturing vocals or as an overhead drum mic. It has a dual-capsule system and the same Back-Plate technology as the C414, along with a switchable attenuation pad and low-pass filter. The sensitivity of this mic makes it best in a soundproof studio application because it will truly capture every detail. The Bluebird has a clean, open sound that enhances the smooth, singing quality of vocals and acoustic instruments like guitar and violin. The cardiod capture pattern also makes it a great choice for overhead piano or drum miking when utilized in a matched pair. It uses a large diaphragm capsule and Class-A discrete circuitry that capture the presence of the sound, with a great balance between the treble and low range. Each microphone is hand-tuned and tested to guarantee quality. 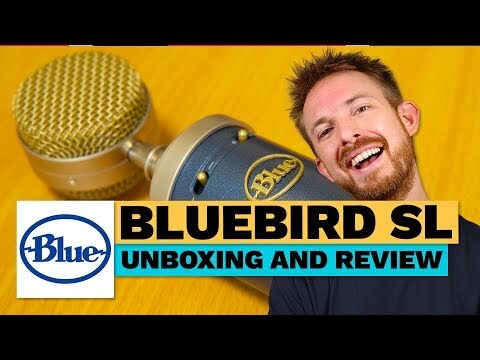 The combination of reliability and performance makes the Bluebird an incredible value, easily one of the best condenser mics we could find. The pattern of a microphone is a way of describing the shape of the area that the microphone will record. There are three polar patterns you’ll see most often. Omni-directional microphones pick up all sound within a certain range, giving them a generally spherical polar pattern. Figure-8 mics pick up the sound that comes from immediately in front of and immediately behind, leaving out the sound created to the sides. Cardiod microphones have a roughly heart-shaped polar pattern, picking up the most sound directly in front of the microphone but also catching sound produced slightly behind it. The cardiod pattern is the most versatile and common, especially in condenser microphones. It allows you to get a sense of the space and presence of the musician without picking up too much extraneous noise from the rest of the room. This also makes it an excellent pattern to use in a pair, giving you a studio picture of an entire room or ensemble without much bleed-over from one side to the other. An omni-directional pattern is more likely to be of use to you if you do a lot of live recordings or work with large ensembles. 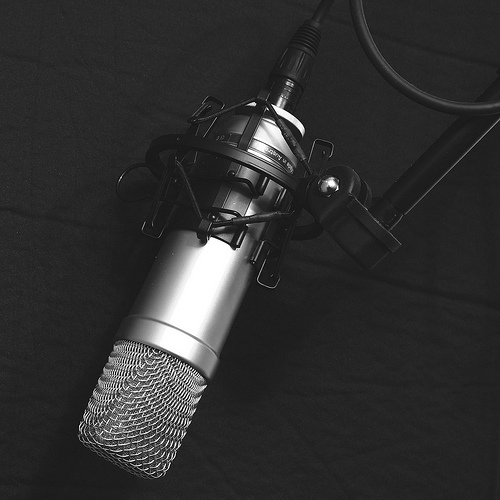 Compared to other types of microphones, condenser microphones are more durable than ribbon mics, but can’t handle the same high sound pressure levels as dynamic mics. They also have a very high sensitivity and a wide frequency response, which makes them the perfect choice as overhead mics for ensembles, drum kits, or acoustic pianos. Because they’re so sensitive, condenser mics are better in a soundproof studio than they are in a live application—they’ll pick up every single little sound, which can be frustrating if you’re using them outdoors, even with a wind guard. 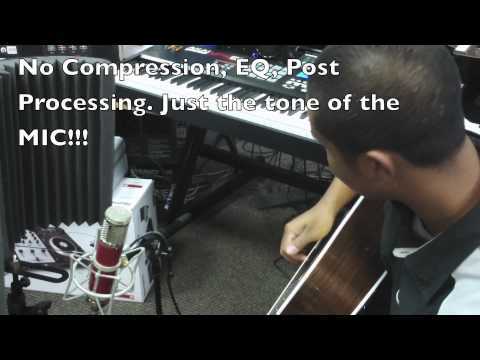 This sensitivity also makes them perfect for recording vocals, acoustic guitar, or classical music, where there will be a lot of dynamic variation and subtlety to the music. On the durability side of things, condenser mics can handle loud dynamics and sharp articulations from a distance, but aren’t best suited to recording sharp attacks and loud instruments up close. They shouldn’t be used as a dedicated kick drum mic or snare drum mic or you’ll risk damaging the diaphragm, but you can use them as a stand mic around the cymbals or as an overhead mic for the entire kit without worrying. As with all microphones, even the ones that are sturdily built should be handled carefully to avoid damaging any of the interior components. Hard impacts are the most common cause of damage to microphones, either from being dropped or struck against a surface because of careless handling. When this happens, the diaphragm can warp or break, impacting your recording’s clarity or accuracy. Keeping your microphone in its case when you’re not using it is the best way to prevent damage. Once a microphone is damaged, your only choice is typically to buy another one—and a few hundred dollar investment goes down the drain. Take good care of your mic, though, and it will serve you well for many years. And we hope with this article, you’ve found the best condenser mic under $500 for your needs. Good luck!